Casey Keuthan graduated from Florida Institute of Technology in Melbourne, FL with a degree in Biological Sciences. During her time there, she worked as an undergraduate researcher studying molecular mechanisms guiding fertilization and oocyte maturation using an echinoderm model system. 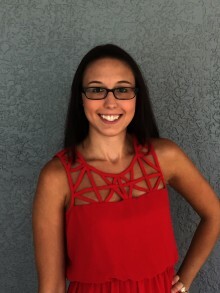 Casey is now a graduate student in the genetics concentration of UF’s Interdisciplinary Program in Biomedical Sciences within the College of Medicine. Her current research involves the identification of neuroprotective variants of PGC-1α, a key regulator of mitochondrial biogenesis and function, as a therapeutic target for inherited and age-related retinal degenerations.